Parachute's founder and CEO sounds off on why thread count is a bust--and why she's betting on quality instead. Entrepreneur has an affiliate partnership with Parachute so we may get a share of the revenue from your purchase. You spend 1/3 of your life in bed, so the quality of your sheets is extremely important. So says Ariel Kaye, founder and CEO of Parachute. “They’re one of the home textiles you engage with most intimately,” she explains. Parachute’s bedding is made in a family-owned factory, located in the Guimarães region of northern Portugal. “Run by the founder’s great-grandchildren, the mill has adopted modern technologies while preserving their culture’s time-honored techniques,” Kaye says. As a result, Parachute delivers a premium quality product that upholds the high standards and heritage of the region—but at a fraction of the cost because of its direct-to-consumer business model. 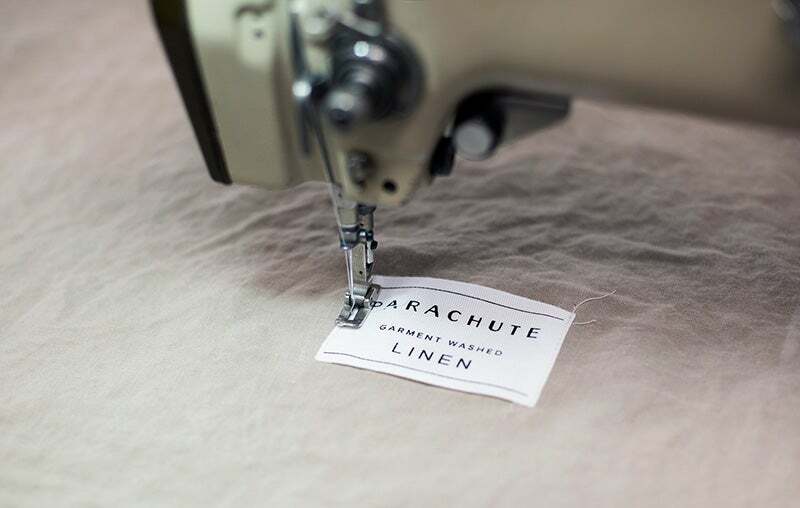 Parachute’s commitment to superior quality extends beyond their manufacturing to the materials they use. Their percale and sateen bedding is made of 100 percent long-staple Egyptian cotton, prized for its strength and softness, and their light and airy linen line is spun from European flax. Founder and CEO Ariel Kaye at Parachute's factory in Portugal. Do you want to be cuddling with formaldehyde at night? Didn't think so. Parachute’s fast-growing business and large social following has proven consumers’ interest in a brand that takes quality seriously. The company has expanded their bedding assortment and introduced lines for other areas of the home, including bath and tabletop. Discover the Parachute difference at parachutehome.com. Get free shipping and returns, plus a 60-night trial on all bedding.